Madagascan Vanilla is an important ingredient of quality vanilla ice cream. Cheaper ice creams use extract or flavourings, which haven't necessarily come into contact with the contents of the magic black bean.. This apparently now costs more than silver. 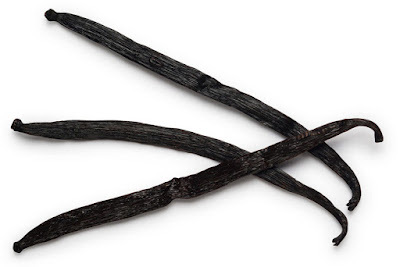 Which makes vanilla one of the most expensive flavours of ice-cream. Some other companies are also affected. Lush, which makes bath bombs and other products has switched suppliers because of problems in Uganda where it used to source its ingredients. A reminder of the hidden cost of some commodities. Which other crops are going to spiral in cost in the (near) future?